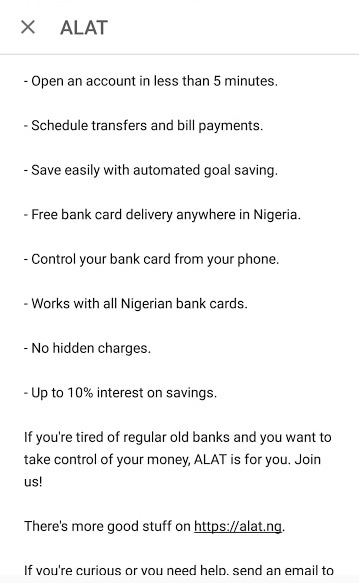 Everything You Should Know About Nigeria First Digital Banking Called ALAT… 100% Digital! account opening/sign-up can be done in five minutes from a mobile phone. (or change an existing PIN) in-app. No branch or ATM visits necessary. card gets used on and also what country your card gets used in. mumsi’s stipend) and bills (e.g DSTV subscription) and forget about them. 9. 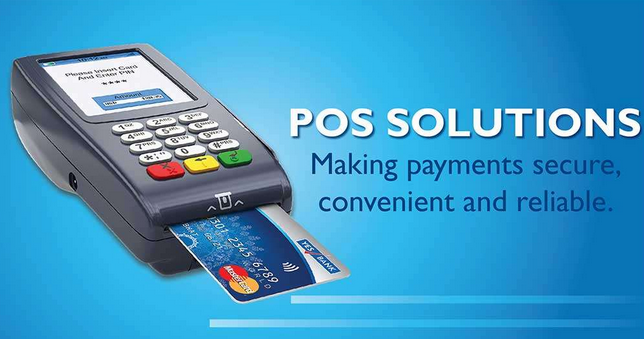 The good news is, it works with all Nigerian Bank cards. 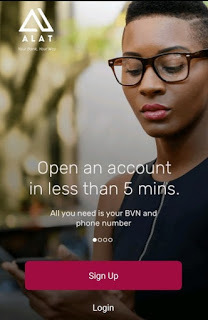 experience about the first ever 100% digital banking in Nigeria. @sir prof. Pls, Do u have Idea if "Paylater" is real or scam? It's very real! My friends and I have benefited from it immensely! I'm a living testimony. Thanks For this Usefully Post..
Now, I can see Nigeria is growing gradually, despite the recession. This is a very good development for us Nigerians in general. Looking forward to seeing more of such from other banks. Pls. 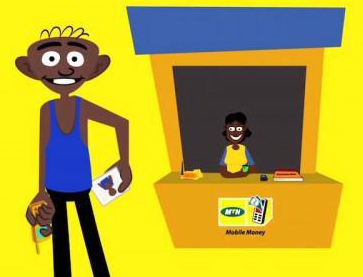 Prof. Yomi, how can I uesd my GTB master card to place an order that exceed $100? I tried to do that but they are telling me the amount exceed the approval limit? Pls. Help I want to Oder moocis 10.1 inches on aliexpress. Thanks. But how did I get he Barter Virtual Card pls? 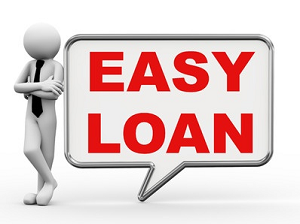 If cash was deducted and order declined, kindly contact Barter supports. In such cases cash are usually refunded. Pls prof, how do I get my own bar ter virtual card. 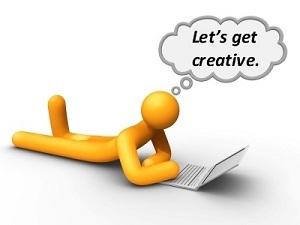 But have created account on they site. But how to get the card is what I want to no. Pls their are asking of referrer code. Boss can i use the card that will be delivered to withdraw from an ATM ? Why Will Kulimart Sell Ulefone Power For N52,000?